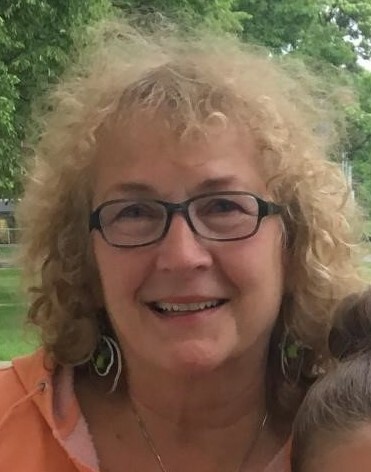 Sandra Kay (Sweeney) Behm, age 68, of Niagara, ND, went to be with the Lord unexpectedly on Saturday, April 6, 2019. Sandi was born on February 11, 1951 to John and Mary (Gulyanics) Sweeney in Mishawaka, Indiana. She attended St. Monica Elementary and graduated from Mishawaka High School in 1969. Sandi then went on to attend Indiana University South Bend. While visiting family in North Dakota in August of 1975, Sandi met Lynn Allen Behm in Rugby, ND at a Men’s state softball tournament. Sandi and Lynn were united in marriage on September 16, 1978 at St. Andrew Lutheran Church in Niagara, ND. They resided on the farm in rural Niagara where they raised three children, Matt, Lyndsay, and Erin. Sandi started her postal career with the United States Postal Service in Niagara, ND. She served Hatton, Inkster, Emerado, and Petersburg, ND where she retired after 30 years of service. In her retirement from the post office Sandi enjoyed watching her grandchildren every day and was never idle, being an Enumerator for the USDA. Sandi was actively involved in her community, being a charter member of the Modern-Day Homemakers. She was the first to volunteer for anything when it came to her kids’ whether it was school or sports, and was especially involved in her Church. Sandi was a Sunday School teacher and Vacation Bible School teacher at St. Andrew Lutheran, where she touched many lives. She was a devout Christian, participating in several Bible Study groups, often picking up and dropping off the members of the study. A dedicated farm wife, who you’d never have to ask twice to lend a hand. Sandi loved to cook, bake with her grandkids, and was especially known for her gardening and plants. Sandi was as selfless as they come, making and delivering meals to the guys in the field, driving truck, and chasing and vaccinating cattle. She loved her children, and even more so, her grandchildren. She was beyond AMAZING with a heart of gold; she loved her family more than anything. Sandi is survived by her husband Lynn of 40 years; her son, Matthew (Mikki) Behm of Larimore ND; daughters, Lyndsay (Leevi) Stave of Niagara ND, and Erin (Jason) Dreher of Grace City ND; the jewels of her eyes her 9 grandchildren, Tenley Behm, Daphne Dreher, Sylus Stave, Doc Dreher, Sawyer Stave, Fred Dreher, Brooks Behm, Roycey Ray Stave, and Forest Dreher; her sisters, MaryEllen (Dale) Hazen, Patrica Sweeney, and Julie (Ray) Aldrich all of Mishawaka, IN; brother, John (Maryellen) Sweeney of Tustin, CA; and her mother-in-law, Vivian Behm of Niagara, ND. She is preceded in death by her parents, John and Mary Sweeney of Mishawaka, IN; and her father-in-law, Ferdinand Behm. 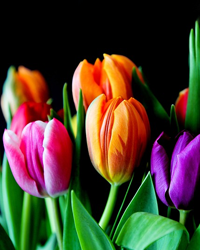 The Funeral Service will be held at St. Andrew Lutheran Church of Niagara, ND, on Friday, April 12, 2019 at 10:00 a.m. Interment will be in the St. Andrew Church Cemetery, rural Niagara. Visitation will be held at the Church on Thursday, beginning at 5:00 p.m. with a Prayer Service at 7:00 p.m. Visitation will continue at the Church on Friday, from 9:00 a.m. until the time of service.